Rediff.com » News » Happy hours for Barack Obama's supporters! Happy hours for Barack Obama's supporters! 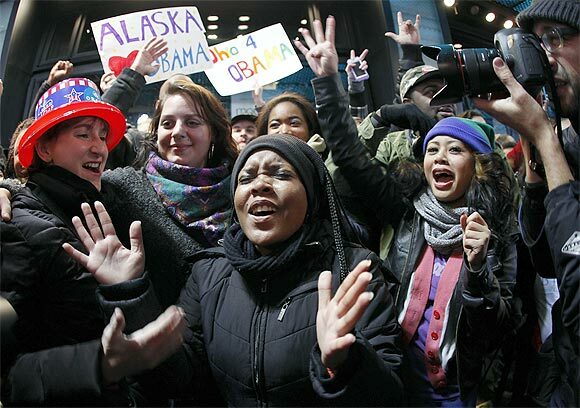 Thousands of people took to the streets to celebrate the victory of incumbent Barack Obama in the United States presidential election. We bring you some images of the party. 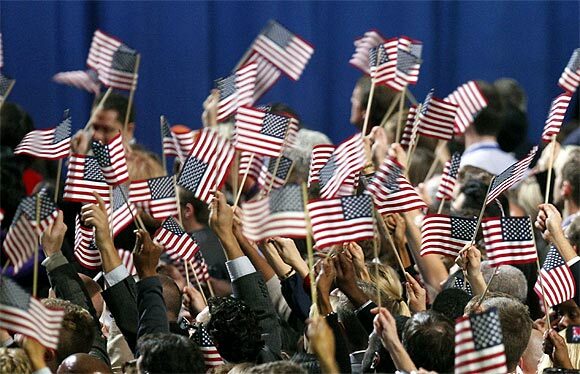 Supporters of US President Barack Obama take part in a victory rally in Chicago. 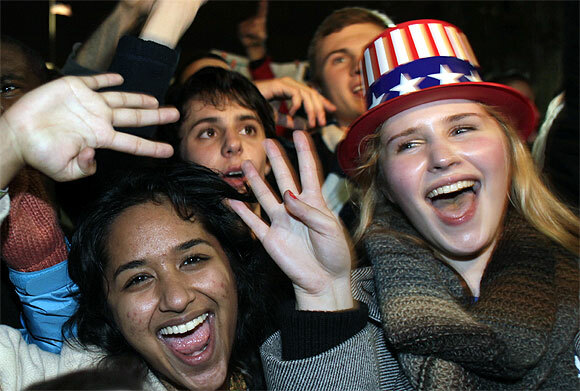 Supporters of US President Barack Obama celebrate the news of his victory outside the White House in Washington. 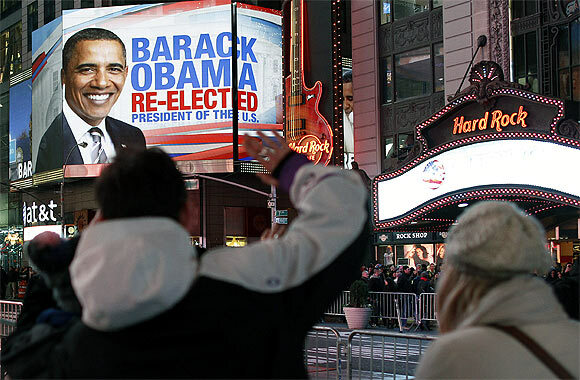 People celebrate in Times Square after US President Barack Obama was projected to be re-elected in the US presidential election in New York. 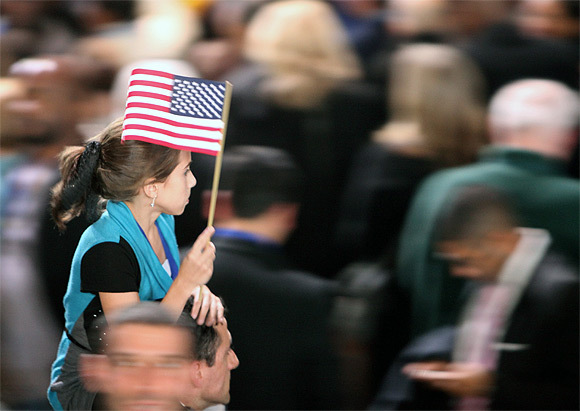 A young supporter of US President Barack Obama waves an American flag. 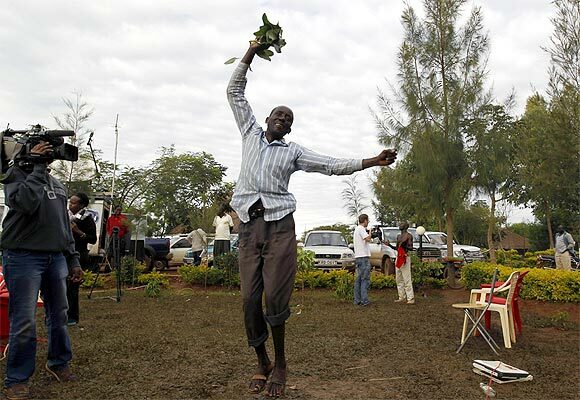 A man jumps as he celebrates the victory of Barack Obama in the US presidential elections in Obama's ancestral home village of Nyangoma Kogelo, 430 km west of Kenya's capital Nairobi.